A Village Board consisting of a president and six trustees governs Waunakee. 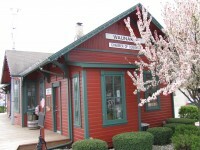 Board meetings are held in the Village Hall located at 500 W. Main St. The other elected official is the Municipal Judge who presides over the municipal court, which is in the courtroom in the Village Hall. Do you want to support the local initiative promoting creativity and innovation in Waunakee? If the answer to any of these questions is yes, please make plans to stop in at the Village Hall, to learn more! Creative Wall at the Hall is an opportunity for local artists from the Waunakee area to share their work by displaying it at Village Hall. Exhibitions will be on display for two months at a time, for a total of six exhibits per year. The 45,000 sq. ft. center, opened in 2006, is located at 333 South Madison St. has activities and space for youth, senior citizens and everyone in between. The facility is suitable for a variety of uses including senior services, recreation programming, meeting rooms, fitness center, indoor walking track and a full-size gymnasium. Meeting rooms are available for community groups, private parties, wedding receptions and other family gatherings. For more information about this beautiful facility call the Village Center Welcome Desk at 850-5992. The Waunakee Senior Center, at 333 South Madison Street, provides services to older adults in the Villages of Waunakee and Dane and the Townships of Dane, Springfield, Westport and Vienna. We strive to provide advocacy, programs and services that assist seniors to maintain their dignity and remain independent in their own homes and communities. The Senior Center also fosters social, physical and emotional well being, through the facilitation and provision of educational and support services, intergenerational, recreational, cultural and volunteer opportunities. All services provided are supplemented by the dedicated work of numerous volunteers. For more information call the Senior Center at 849-8385. The Waunakee Public Library has programs for all ages! There are plenty of Childrens programs including Toddler Time, Story Hour, a Summer Reading program & an After School program, to name a few. Some Teen programs include a Book Group and an Advisory Group. Adult programs range from eReader classes to Monthly Book Discussions. The Waunakee Public Library has a Board of Trustees that meets the second Monday of the month and is open to the public. The Friends of the Library is a volunteer organization that helps promote the library through fundraising efforts. The Forever Fund is a tax-deductible endowment fund that its interest is used to fund special programs beyond the library budget. Beyond the Page is a joint effort of the Dane County Library Service and the Madison Community Foundation to create a permanent endowment that will support humanities programming in all 28 public libraries in Dane County-FOREVER!! The Police department is located at 205 N. Klein Drive. There are 20 full time Police Officers. They provide 24 hour a day protection which covers approximately 7 square miles and a population of almost 13,800 and patrol over 200 streets, multiple businesses, and many parks. Officers have over 19,000 contacts annually with individuals. The office is staffed by two full time employees who handle over 9,000 phone calls and 2,900 walk-in customers annually. The department provides many community policing programs including; Operation ID Youth Fingerprinting, National Night Out, Bicycle Rodeo, Citizen’s Academy, and White Collar Crime Symposiums. All 911 calls go directly to the Dane County Communication Center located in Madison. In the case of emergency, dial 911. Non-emergency calls may be made to 849-4523. 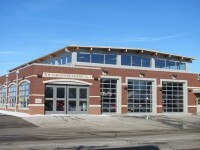 Waunakee Fire Department provides fire protection for the village and the townships of Westport, Springfield and Vienna. The WFD has had the honor of serving the community for the past 118 years. The Fire District consists of 38 volunteer firefighters who are well trained in rescue work as well as fire fighting. In 2013 they responded to 271 fire calls, volunteered 4,195 hours of their time, and totaled 2,261 hours of continuing education and training. They have state-of-the-art equipment, including a 100-foot aerial ladder truck and two Cairns Infra-red Imaging System (IRIS) Helmets. In case of emergency, dial 911, non-emergency, call 849-5488. 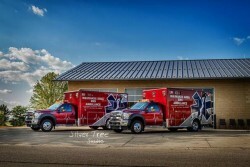 The Waunakee Area EMS, located at 201 N. Klein Drive, is a 24-hour volunteer emergency service for persons within the Waunakee Area EMS District. Licensed Emergency Medical Technician (EMT) volunteers provide emergency care. Our members are trained as drivers, EMT-Basics, and EMT-Intermediate Technicians. There are over 65 committed volunteers serving the Waunakee area. The number of calls that they receive reflects the growth in our community. In case of emergency, dial 911. Non-emergency calls may be made to 849-7522. Serving the community since 1979, the Chamber of Commerce is a service and action organization for business. The Chamber provides a multitude of opportunities for its members to be active and volunteer in ways to enhance and grow the community. The governing and policy making responsibilities of the Chamber are vested in (12) Board of Directors. The Mission of the Chamber is to advance the general welfare and prosperity of the Waunakee/Westport area so that the business community and citizens can prosper. There is an emphasis given to the economic, civic, commercial, industrial and educational interests of the area. The Waunakee School District Aquatic Center features an 8 lane, 25 yard pool with a state of the art score board and Colorado Timing System. The Aquatic Center is home the the Waunakee Warriors Girls and Boys High School Swim Teams. The facility is also the home pool to the Waunakee WAVE Swim Club, a USA Swim Team. The Waunakee Aquatic Center offers American Red Cross Swimming Lessons, Open/Family Swims, Lap/Fitness Swims, and Water Exercise. Residents and non-residents are welcome to use the facility and register for classes. The facility is available for rent. Please e-mail Kristy Nacker at knacker@waunakee.k12.wi.us or call the Aquatic Center at 849-2420 for additional information. Waunakee Utilities office is located at 322 Moravian Valley Road and is one of this country’s 2,200 public power systems - a utility owned by the people and the community it serves. A seven-person utility commission, appointed by the Village Board, decides how to operate Waunakee Utilities. This local representation and control gives citizens a voice in how our utility can best meet the community’s needs. The utility office is in charge of electric, water and sewer. Questions about services and charges may be directed to 849-8111. The Village of Waunakee will be using a new animal licensing program in 2014. The new program is available on-line through PetData. To register your pets online go to http://www.petdata.com or call toll free 1-855-312-9070. Licenses will be mailed within 10 business days of PetData's receipt of payment and documentation. The Village of Waunakee will no longer be issuing animal licenses at any of their past locations. The Village of Waunakee, like most of Wisconsin, can experience high levels of snowfall each winter season. maintain safe travel by pedestrians and vehicles throughout Waunakee. Waunakee averages a cumulative snowfall of 43 inches per year (The national average is 25 inches). The same day as your normal refuse pick-up. Have items on the curbside by 7am. Pellitteri Waste Systems and the Village of Waunakee Public Works Department will jointly sponsor the Residential Spring Cleanup Program. This is your opportunity to clean out those closets, garages, basements, and whatever else has items you need to dispose of. All Waunakee residences and buildings of four units or smaller may participate. The dates of Spring Cleanup are posted in the spring newsletter of each year. The day for your home will correspond with your regular refuse pick-up day. You will need to place your unwanted items on the curbside. Please have your items out for pick-up by 7:00 AM. Small items should be placed in a durable container or box. View acceptable items for what items to place on your curb for pick-up. If you have unwanted unacceptable items, please view the trash / recycling collection webpage for information on where and how to dispose of them. If you have questions or concerns regarding the Waunakee Residential Spring Clean-Up, please call (608) 849-5892. Please remember to keep the brush and leaves separate from each other. Leaves must be on the terrace in front of your house, not in the road. If you would like to haul your own leaves and brush, you may take them out to the compost site on Highway Q south of the Village just past Highway K. If you have any questions or concerns, please contact the Waunakee Public Works Garage at (608) 849-5892. Winter Brush Collection will be bi-weekly beginning at the end of October, weather permitting. Please have your brush out by the terrace by 7:00 AM on Monday, with the cut ends toward the road. Please leave branches as long as possible as this will save you and our crews' time. Brush is considered limbs and branches from trees and large shrubs. All other woody vegetation such as plant stalks, small bush trimmings, etc. will not be collected. This type of material can be taken to the compost site on Highway Q south of the Village. If you have a contractor trim or prune your trees or bushes, they are responsible for the removal of the brush. Collection begins Monday and is completed within the week when Public Works has gone through the entire Village. If you have any questions about the collection, call the Public Works/Parks Garage at (608) 849-5892. As the Village begins leaf pickup, it’s important to note the Village’s continued support of the efforts of the Clean Lakes Alliance, which aims to reduce phosphorus levels in our nearby lakes. Phosphorus contributes to lake algae which has environmental impacts on the ecology of our lakes. Please take some time to learn more about the health and status of our lakes by watching the 2017 State of the Lakes video found here. 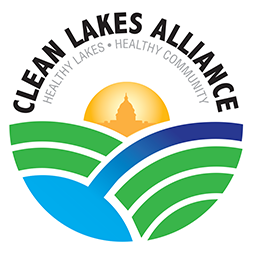 Finally, if you are interested in getting timely status updates on the condition of our lakes, the Clean Lakes Alliance provides updates on their YouTube channel with the most recent update on August 31, 2018 found here.